Broaden is a South Australian based Building company that is owned and operated by a qualified carpenter with over 15 years experience in the industry. We specialise in additions and extensions to existing homes and have a particular passion for second story additions. We can assist you with all aspects of your project from concept design and building approvals through to construction and handover. Broaden is proud to offer a high quality service and build, with attention to every detail. Broaden is unique in that the owner of the company is a qualified tradesman with a significant amount of knowledge and experience in the building industry. Choosing Broaden to assist you on your building project ensures that the owner of the company is there with you every step of the way not just supervising the job but doing a large proportion of the work himself. This ensures a personalised and caring relationship with all our clients. Dealing with a qualified, hands-on tradesman also means that problems can be promptly solved as they arise resulting in delivery of the finished product on time if not before. BLD219736 As a company, we provide a professional yet friendly service to all our clients. It is important to help our clients in their decision making and in achieving their expectations. We are a local company employing local craftsmen as it is important to maintain our good reputation in the community. We believe the key to an enjoyable and rewarding building experience is best achieved by ensuring that open and honest communication is maintained throughout all aspects of the building process. This philosophy is applied from your initial enquiry to well after the completion and handover of your new home, ensuring you total peace of mind. Offering our clients a flexible and detailed service, we are able to manage all aspects of your new home to the highest possible standards. This includes working with local councils, initial concept and design through to approvals and construction of your new home. 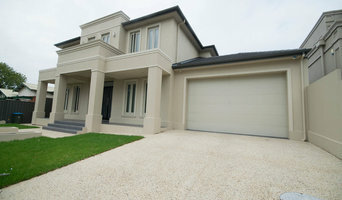 D & C Homes Pty Ltd have established an exceedingly notable reputation in the domestic building industry. Our admirable expertise in innovation design and product specification, together with a passion for quality, has most assuredly enhanced our high profile consumer acceptance. Our marketing strategy is formulated on affordability and uncompromising quality, together with exceptional individual service and unmatched communication competence. 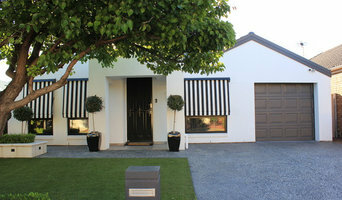 Powell Built is the renovation, extension and addition specialist builder in Adelaide and South Australia. Residential Builder covering all aspects of construction and development. Specialising in affordable solutions for developers, investors and home owners. HIA award winning builder focussing on new homes, extensions & alterations. A family run business that provides quality workmanship and a complete building process from design to completion. We are always continuing to improve our building expertise and finding our clients the most economical path to a successful project. 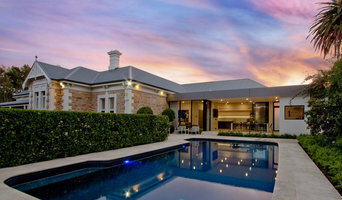 Working on projects throughout South Australia within the residential market, the team at Violi Construction are fast creating a successful name in the Adelaide housing industry. Coral Homes' mission is to help more Australians into a new home and is one of the largest, most respected home builders in Australia. Each home constructed by Coral Homes showcases the highest standard of quality and workmanship with the best materials sourced from leading suppliers. Every member of the Coral Homes team, from our Head Office staff to our qualified tradespeople, is committed to making the process of construction a stress free, pleasurable and rewarding experience for every one of our valued clients. Kreca Renovations is steeped in a family history of building and the family traditions continue…Geni and Emily lead the Kreca Renovations team with the strong support of Geni’s brothers and cousins. Geni’s father Petrit has been building for more than 40 years, taking Geni and his brothers on site from the tender age of ten as labourers (seems European work laws are a little different to ours here in Australia!). Emily too comes from a building background, her father Peter is a plumber by trade and now a keen hobby builder, producing beautiful furniture and rebuilding wooden boats in his ‘spare’ time. Such a background has given us a passion for customer satisfaction and attention to detail. Geni and the rest of the team have somewhere in the vicinity of fifty years building experience between them. They have a strong background in renovations and extensions and are now also working in commercial alterations and additions with some very satisfied customers (see customer testimonials). Geni and Emily have Australian qualifications in building construction and building design. Our employees are friends and family too (not just workers!) and at all times we aim to support small family business when carefully selecting our sub contractors and suppliers. Duo Building Group is backed with the knowledge gained, from twenty years of a collective carpentry background. We pride ourselves in our knowledge of construction and design. Our methods and approach to construction are unique and leave a lasting impression. INNOVATION. DESIGN. EXCELLENCE. 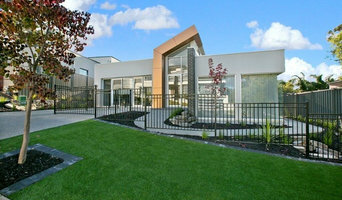 Oxygen Building Group is a Adelaide-based boutique builder. Talk to us if you need a reliable and experienced project partner for the construction of your high-quality designer home, apartments, townhouses and commercial project or industrial development. Our skilled and passionate team professionally manages and oversees the construction of your project anywhere in the Adelaide Metro area. Working in close consultation with you and giving you all the personal attention you deserve, you can completely rely on us throughout all stages of construction. With Oxygen Building as your construction manager or head contractor, there will be no surprises and no hidden costs but only honest, first-class service from start to finish. We like to not just meet, but exceed your expectations for your development. Our particular specialty is managing the construction of prestige, architecturally designed houses for discerning customers. We are a boutique building and renovation company based in Adelaide, South Australia. We pride ourselves on providing the best possible service to our clients. As boutique builders we ensure each client receives their own unique design to meet their needs. Weather it be traditional or ultra modern, we can build a home that will suit your lifestyle. From new builds to complete renovations and extensions, our service is personalised so we can provide you with a home that you can call your own. From your empty block to the final blade of new lawn we will ensure all of your expectations are not only met but surpassed. Building fine homes requires good working relationships between us, our tradespeople and most importantly our clients. We see building your home as a privilege - not as a job. We realise how important this is to you and that's why we are considerate in every detail of your build. We look forward to meeting you to discuss your new project and to the beginning of our journey to building your dream. All jobs are carried out with the same passion and quality of workmanship, with extra care taken to ensure you, as the customer, are truly satisfied. Specialising in additions, renovations & extensions, our team can make your dream home a reality. We can take care of all necessary approvals & planning so that you have a hassle free experience during the build process. Located in Gawler, South Australia, we service areas all over Adelaide & are willing to go further where most won't, to expand our range of satisfied customers.